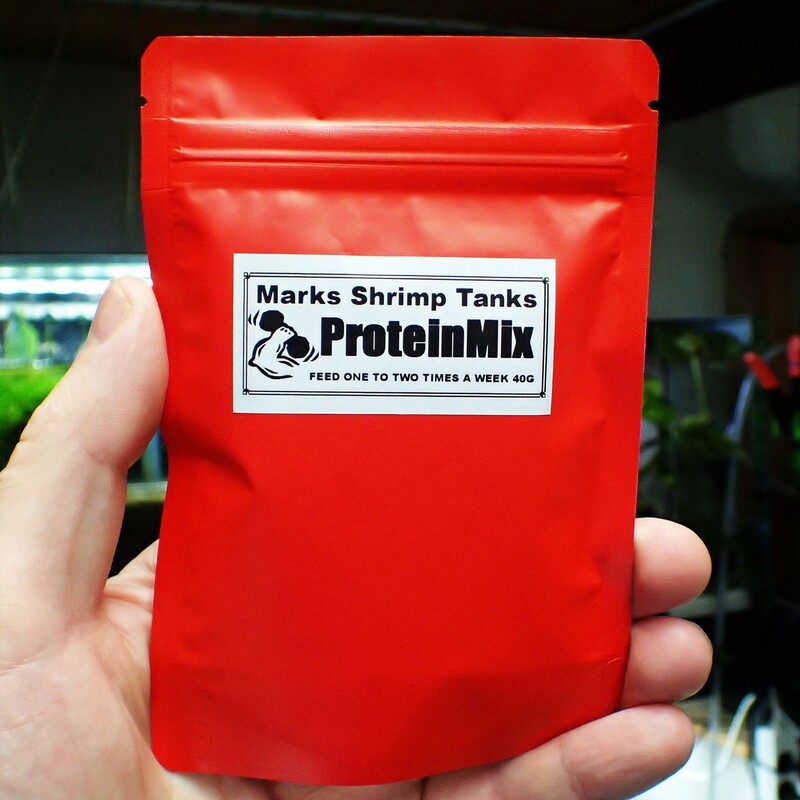 Protein Mix is a high protein food that is used for conditioning of shrimp. This product helps with growth as it has an average protein ratio of between 45-50%. This makes it an ideal for to get you more berried shrimp. One stick can feed up to 20 shrimp at a time so break of what you need and see how the shrimp react to it..after 15 minutes observe the feeding pattern, if they are all over the food leave it in. Once they stop feeding remove all leftovers. I typically feed this to my shrimp one to two times per week.